A garden is a deal-breaker for anyone in Ireland to consider downsizing. Such was the primary finding of a nationwide survey (See Appendix) commissioned by Lotus Investment Group, a Dublin-based investment management firm, and conducted my IReach. Nationwide, the survey found that having ‘enough room to entertain family and friends” came second on the downsizing wishlist, but respondents in Munster felt that “staying in the same location” is a more important consideration. People from the Munster region were also more likely to think “storage” would have a big role to play in whether or not they would downsize to a smaller property in years to come. 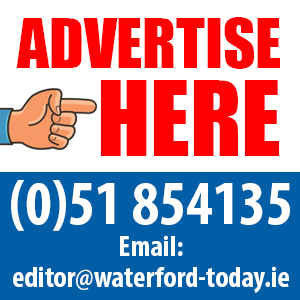 “There are currently 30,506 people over 55 in Waterford and because Ireland has an ageing population, this figure is set to grow significantly in the coming years, so the subject of downsizing or “rightsizing” as some prefer to call it, has entered public debate over the last couple of years and is likely to receive a lot more airplay in the months and years to come, as the supply of property in the country continues to fall short of demand. In February of this year, in an effort to devise a solution in part to Ireland’s housing crisis, the Government launched a policy statement entitled ‘Housing Options for Our Ageing Population’, which suggested that it may be a good idea for the State to incentivise the relocation of older people to ‘right-size or appropriately sized units’ if they choose to do so. “While there are some generalities across the board, buyer behaviour in property is, by its very nature, heavily influenced by geography and life stage cycle. For example, while just 25% of those in the 18 – 24 bracket say that ‘remaining in the same location’ would be a deal-breaker if they were to downsize in the future, a larger 36% of those aged 55+ feel this way. Perhaps the older demographic is more likely to realise the importance of knowing your neighbourhood and the people in it and are less likely to favour change.